I Have Bad Breath, Help! Do you have bad breath? The problem with bad breath, is that sometimes you have no idea it is your problem, until someone tells you. It is an embarrassing thing to have to go through, but it is something that many people deal with. Bad breath is offensive and it disgusts people. When food is the cause of the bad breath, one merely has to brush or gargle, to rid the mouth of food debris that smells. When the problem is deeply rooted, however, it is a different story altogether. So maybe you were told you have foul breath or maybe you smelt it for yourself and want to deal with it once and for all. Whatever your motivation, the first thing you need to do is to visit your dentist. Plaque build-up. Plaque is formed when food, saliva and bacteria is allowed to come together and calcify. It accumulates in the mouth and its very makeup causes bad breath. If this is the problem, a teeth cleaning is needed, and a reminder to observe good oral hygiene is necessary. This includes stressing the need to see the dentist for regular cleaning, every six months. Tooth decay. If a tooth is decayed and rotten, it will give off a bad smell, and give you bad breath. Tooth decay is resolved with a tooth filling. The tooth is cleaned and the decayed tissues are removed, so that it may be restored back to health. Gum disease. When plaque is left to accumulate, this progresses to gum disease, which involves swelling, redness, tenderness, pus formation and bleeding. Pus formation and bleeding will surely give you a bad breath. If this is found to be the cause of your problem, you may need to undergo periodontal rehabilitation, that may or may not involve surgery. Infection. If a rotten tooth is left to decay, the problem becomes worse, and an infection may start. You may begin to find a boil/swelling on the area of the decayed tooth and it will be filled with pus. This pus formation is going to cause bad breath, and until this tooth is removed or the infection is resolved with a root canal treatment, the foul odor will not go away. Acid reflux. If you have the tendency to regurgitate contents of your stomach, the constant reflux will give you bad breath. A dentist who uncovers this will refer you to a physician for further testing. Dry mouth. First of all, why do you have dry mouth syndrome? Whether it is due to medication that you are taking or a symptom of another disease, it needs to be resolved. A dentist, who discovers this, will refer you to a physician for further testing. Tonsil stones. Sometimes the folds of the tonsils are highly pronounced so that plaque accumulates at the back of the mouth. Tonsil stones should be removed, just like normal plaque. If you are a patient with bad breath, the dentist will try to find the reason for this. Depending on the evidence gathered, a corresponding treatment process will be performed to resolve your problem. Night grinding. The most common use a mouthguard is as a nightguard. When a patient is a known bruxer he or she has involuntary clenching and night grinding that is usually observed during sleep, hence the name. To date, there is no permanent cure for night grinding. The only resolve a dentist can offer is to protect the teeth from destruction, through abrasion. Sports. A person engaged in sports or a similar physical activity will be prone to contact that will cause fractures. To somehow avoid any injury in the tooth or bone, some cushion may be afforded by the wearing of a sportsgaurd, which is a lot thicker than a night guard because it is expected to endure stronger blows. If you are prescribed with a guard, you will need it, regardless of the reason because it will sufficiently protect your teeth. Unfortunately, you may be swayed into getting the ready-made guards or the boil-and-bite ones from sports stores, but you have to understand that it’s going to be a wrong decision. Is going to fit perfectly. Since it is fabricated using a cast/model taken from the patient, you can take comfort that the guard will be an exact fit. It will be fabricated following the exact curvatures and dips of the upper or lower jaw, so it is snug fit. It will fit just one person, you, and because the fit is perfect you do no have to worry that it is just going to fall off or pop out from your mouth. Is more comfortable. Since it fits well, you can expect that it will be easy-to-wear. Ready-made products often hurt as they do not fit like a glove, but you do not have to worry about that with a custom-made guard. Is not going to cause bite problems. Since it fits well, you do not have to worry about developing any bite problems. 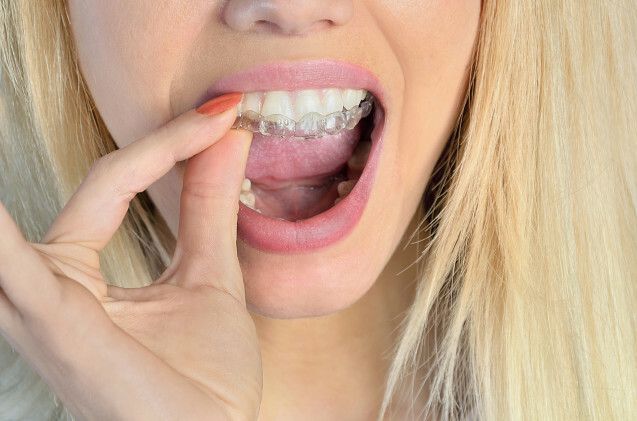 An ill-fitting guard will cause a discrepancy in the bite so that there will be shift in the teeth. These changes will affect the teeth and bite, so straining the joints. Of course, one more thing you can be sure of with a custom-made guard is that it is dentist-approved. You know you are wearing an appliance that your dentist will approve of, so you have nothing to worry about. The entire body is connected by an intricate lacing of nerves. It runs along with the veins, arteries, capillaries and lymph vessels. In the mouth, there are complicated nerve innervations that course through the different structures of the mouth to supply the soft tissues, the teeth and the bone. This intricate webbing goes through the mouth and allows us to feel cold, hot and significantly, pain. To suppress nerve function to allow the dentist to perform various procedures, he deposits anesthetic solution. The anesthesia is deposited along the area of the nerves to block pain sensors, so the procedure can go as it should. Depending on the dosage, numbness usually ensues for about one-three hours. The anesthesia wears off, gradually, and the sensation returns normal. Unfortunately, there are some cases when the sensation does not entirely come back or does not come back at all. It is possible that the nerves have been damaged, as a consequence of surgery and if this happens to you, be wary. Nerve injury and damage may a be mechanical error by the dentist or a surgical consequence that cannot be avoided. It may be caused by the wrong deposition of the anesthetic solution or the direct manipulation of the nerves, causing its injury and/or damage. The nerves may also be grazed, abraded or cut due to the unfortunate anatomical position of structures. A tooth that is situated within the area of a collection of nerves is a pressing threat for nerve injury or damage. In some cases, the nerves may be looped along the curvatures of the roots and the surgical removal of the tooth causes the injury. Anatomical positions are neither the fault of the patient or the dentist. The only choice is to avoid surgery, but when surgery is necessary, you face the music. Report everything to your dentist if you think you have incurred nerve injury or damage, after a surgical procedure. Take note that while soft tissues eventually undergo repair but it takes a long time. Some cases take weeks to resolve itself, but some can span for as long as six months to a year (or even longer). Unfortunately, nerves that have been completely damaged may no longer repair itself. This means that the symptoms will be permanent and they will be for life. There are medications that you can take to boost nerve repair. Be patient and optimistic about healing, but be prepared for the awful consequence. 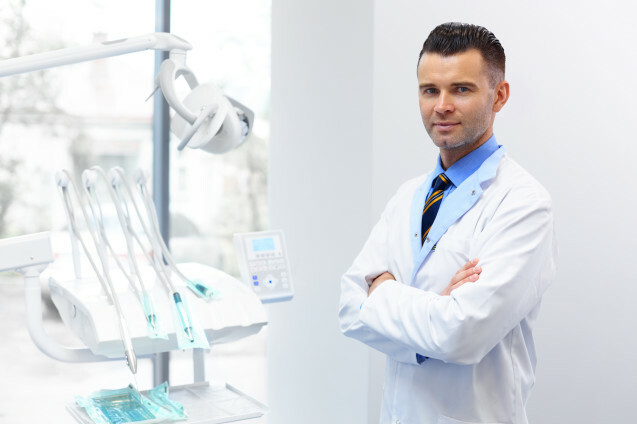 The maintenance of oral health is two-fold and is categorized as the efforts to take at home and the work that the dentist performs in the dental clinic. Good oral health is maintained through this combination and not independently. While everyone is encouraged to see their dentists every six months or twice a year, the most critical is what you do on your own, in between those dental appointments. As part of your personal hygiene measures, one is expected to allot some time to care for the health of their oral cavity. If you want to preserve the health and beauty of your smile, you need to put some effort in cleaning them. This cleaning involves the combination of tooth brushing, mouth rinsing, tongue scraping and flossing. Brushing cleans the surfaces of the teeth. If done correctly, you can rid the teeth and gums of adherent plaque that collects on the surfaces of the teeth with the sweeping action of the bristles. Rinsing with mouthwash not only freshens your breath but depending on the formulation, it can promote gum healing and can soften hardened plaque so that you can remove it quickly. Tongue scraping, done either with a brush or a scraper, removes adherent plaque that has accumulated on the surface of the tongue. A carpet forms on the rough surface of the tongue, and by rinsing you can soften it, so you can scrape it with ease. 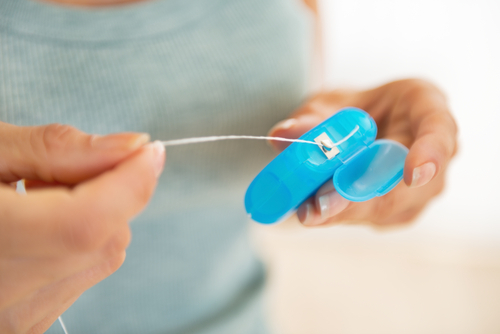 Flossing allows you to penetrate areas in between teeth that the bristles cannot access. When food gets stuck or when plaque adheres in the between the teeth, you can remove it by flossing through every proximal contact. Oral Prophylaxis, which is performed in the dental office, is meant to remove accumulated plaque that you are unable to remove with your daily routine. Even the most brilliant effort fails to keep the mouth a hundred percent plaque-free, so the effort of the dentist is valuable in this sense. So yes, flossing alone, cannot guarantee anything, but it is not an additional activity. In fact, to ensure the optimum oral health, make sure to commit to the two-fold process. That is to see your dentist every six months and to be vigilant in your personal efforts at home. That means that apart from brushing, rinsing, scraping and flossing, you are also watching what you eat.